May 4th, Zagreb – Continuing its activity on fighting climate change across Central, Eastern and South East Europe, Russia, Mediterranean and Central Asia, Nektarina Non Profit, an organization active in over 30 countries, announces ECI Youth Forums on Climate Change. Organized under the patronage of the UN International Year of Youth and the Earth Day Network, ECI Youth Forums on Climate Change also make an integral part of 10:10 Teen Project, launched in March 2011. 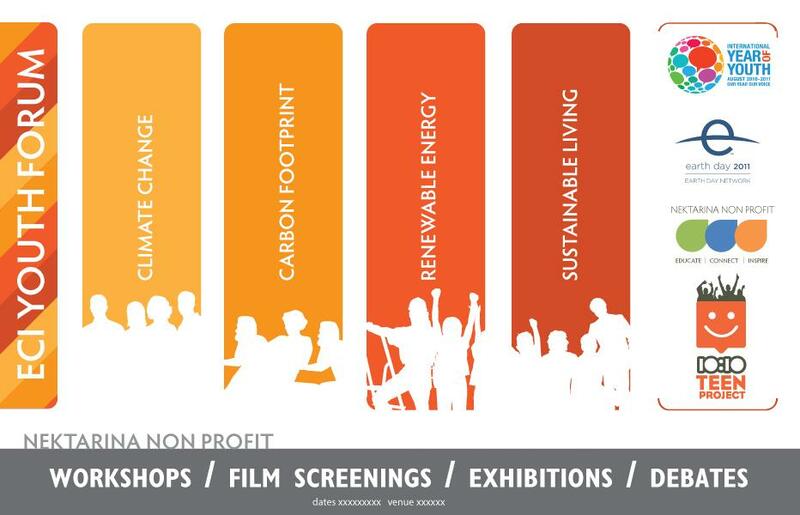 ECI Youth Forums will be hosted during 2011 and 2012 and will address topics of climate change, carbon footprint, renewable energy and sustainable living. Forums are designed for students between 14 and 19 years of age, and include educational presentations, debates, film screenings, exhibitions and creative workshops, with international guest speakers and contributors. 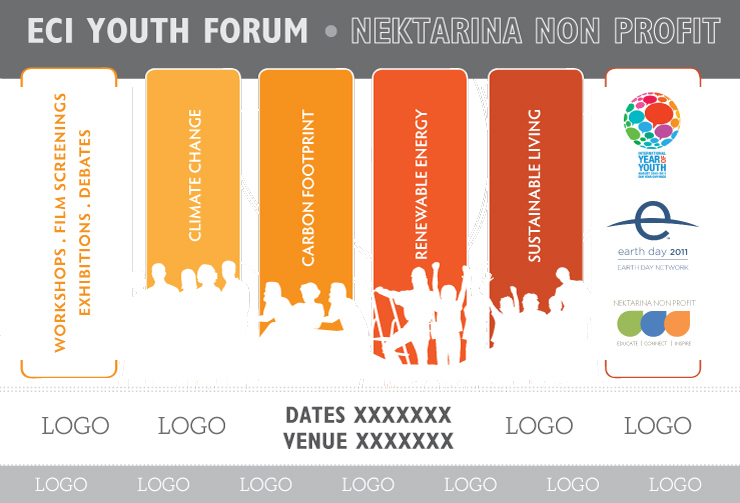 The first Youth Forums on Climate Change will be hosted in Romania (Bucharest) and Croatia (Zagreb, Zadar, Pula) in late May and June 2011 (dates to be confirmed and announced by May 12th 2011), with other countries to follow. Schools and/or students interested to participate in Forums can make inquiries and/or request a Forum participation form and Forum agenda by sending an email to: environment@nektarinanonprofit.com. All forums will be admission-free. Full version of the international press release is available here.